WASHINGTON (Sputnik) - US President Donald Trump said during a speech at the White House on Friday that foreign countries extort US drug companies in order to receive medications at low prices and that he will make sure this stops happening. "When foreign governments extort unreasonably low prices from US drug makers, Americans have to pay more to subsidize the enormous cost of research and development," Trump said. "It’s unfair and it’s ridiculous and it’s not going to happen any longer. It’s time to end the global freeloading once and for all." Trump said US Trade Representative Robert Lighthizer will make fixing this extortion of drug companies a top priority with all trading partners. "America will not be cheated any longer and especially will not be cheated by foreign countries," Trump added. 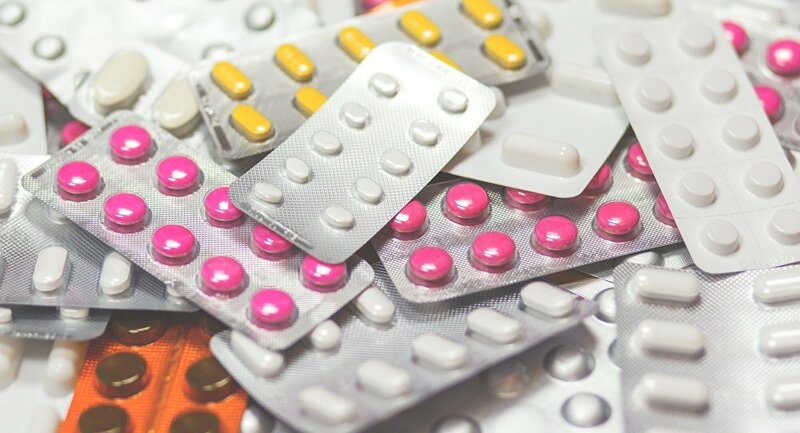 According to a press release from the White House, the United States had the highest per-capita spending on pharmaceuticals of any country in 2015. The statement comes two months after Trump signed an order to impose a 25 percent tariff on steel imports and a 10 percent tariff on aluminum imports. The European Union, Canada, Mexico, Australia, Argentina, Brazil and South Korea were granted exemptions, which were in effect until May 1. Numerous EU leaders and officials have expressed hope that the European Union will be exempted from the US new high tariffs on aluminum and steel imports. Also, the White House is also expected to announce that it finalized a deal to exempt South Korea from the tariffs, the Wall Street Journal reported on Monday citing a senior administration official.